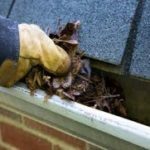 Here at Foxland Cleaning we provide commercial and residential gutter cleaning in Canton GA. Our gutter cleaning service is one of the best in our area. We have the latest equipment and techniques with the help of which we can accomplish our job with 100% customer satisfaction. Techniques we use in our cleaning process includes: leaf blowing, hand cleaning, gutter vacuum, and water flush. This allows us to clean your properties quickly and efficiently and with no risk of harm to structures. 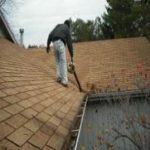 Our unique gutter cleaning in Canton GA is proven to deliver best results by using an array of different methodologies and innovations. 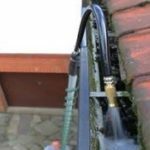 We always make your gutters flow its best according to the newest cleaning standards. We bring new change to your home by following our perfect process and using blowers and water flushing. Blowing out gutters is our most popular service. This is due to the speed at which we can get the job done, we can charge less. We are not able to use this service on most metal roofs though. When we can not clean the gutters with a blower, we clean them by hand. But, a lot of homes in this area do not allow for this method. Because, the roof lines are to high to put a ladder on. Water cleaning is a good idea if you have packed in mud that doesn’t come out from the blower. Mud that gets pack into the troughs is not able to be completely cleaned even by hand.